I was invited by Titleist Product Specialist Rick Barlament to test out the soon-to-launch Titleist TS2 and TS3 drivers and pit them head to head on Trackman against my current gamers. Before I get to the results, let me introduce you to the all-new Titleist Speed project. When talking about Titleist drivers, conventional wisdom has always been they are designed for the serious player, the model name starts with the number 9, and a high priority is placed on superior craftsmanship. Outrageous length has never been Titleist’s priority. Over the years players haven’t seemed to mind the low priority on distance. Titleist drivers look good, sound amazing, and with the addition of the SureFit hosel to the 910 lineup, players could dial in their driver to the optimal setup for their game. This has always been Titleist’s M.O., that is..until now. Compared to its predecessor, the 917 drivers, the new TS drivers are not simply a break from the traditional naming conventions. Titleist has shifted their entire paradigm to make speed priority one. A refinement of weight distribution and head shape, along with a thinning of the clubface and crown thickness, result in higher launch, lower spin and faster ball speeds across the entire face. In the practical, this means longer carry distances and more forgiveness on off-center strikes. Titleist unveils what they call their Speed Chassis. The new design is the culmination of a two-year process to de-construct and re-develop every aspect of their driver heads. This led to the creation of their thinnest-ever titanium crown and Variable Thickness Face. That weight savings allowed engineers to re-position more weight lower and further back in the clubhead, achieving higher launch angles with lower spin. 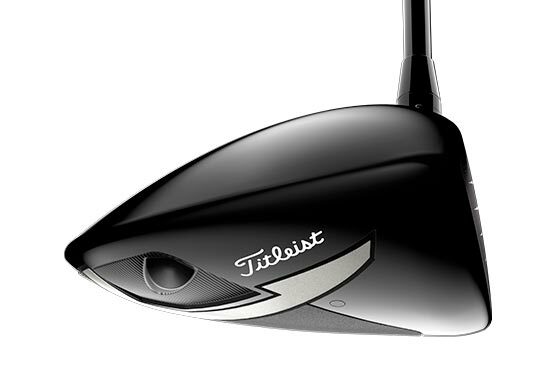 Titleist Speed Chassis produces faster club head speeds. If you are familiar with the components of the Titleist drivers over the years, you’ll notice the omission of a staple from the past couple versions. The new design of the Speed Chassis rendered the Active Recoil Channel obsolete. Also, unlike previous Titleist driver versions, where the D3 head was smaller than the D2 head (440cc vs 460cc), both TS drivers feature a 460cc head. Titleist claims the re-engineered, streamlined head shapes equate to a 20% reduction in drag. Meaning, players will produce faster clubhead speeds by exerting the same level of force on the TS woods as they do with their current driver. Another feature that bucks tradition and contributes to Titleist’s newfound dedication to speed is the standard length. 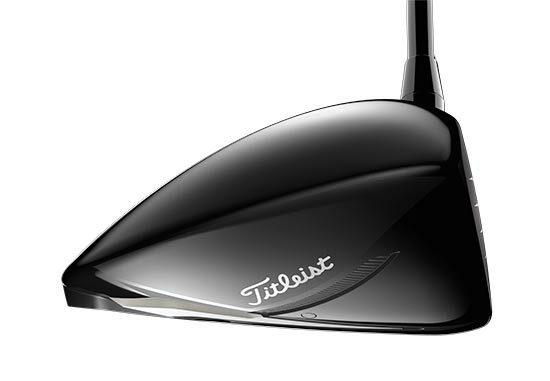 Traditionally, Titileist drivers have been 45”, but the new TS drivers will have a standard length of 45.5”. The half inch may not seem like a lot, but even that little extra length will help players generate greater club head speeds. The weight placed low and back on the sole creates high launch and low spin for faster ball speeds and maximum forgiveness. The modern-shaped TS2 driver is built for higher launch, lower spin and maximum forgiveness through low and deep CG. The crown is slightly taller than the TS3 and features an interchangeable weight situated all the way back on the center of the sole. 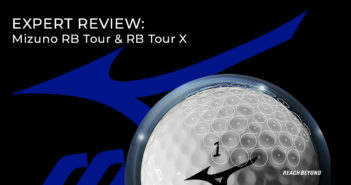 The optimized weight distribution promotes greater ball speeds across the entire face. The SureFit weight port allows players to fine tune the dynamic forgiveness to their exact swing profile. The TS3 driver, with its traditional pear shape, has the appearance of a classic Titleist driver that will appeal to the eye of Titleist enthusiasts. Mid launch and low spin, the TS3 features the adjustable SureFit weight port which gives players the ultimate ability to tailor the dynamic forgiveness to the areas where they need the most help. Once again, I headed up to The Golf Club at Newcastle to meet with Rick. Unlike when I tested the SM7 wedges, where most of the hitting we did was from 10 to 60 yards, this time we had a full trackman set up to get accurate ball speed and distance data. My current gamers are a 10.5° Callaway Rogue Sub Zero driver with a Project X Even Flow Blue 75 6.5 shaft and a 15° Tour Edge CBX T-3 fairway metal with a Project X HZRDUS Black 75 6.5 shaft. For an apples to apples comparison with my current driver, Rick had me hit the 10.5° TS2 and TS3 driver heads trying two shafts, the Prjoject X HZRDUS Smoke Black 60 6.5 and the Project X Even Flow T1100 White 65 6.5, with each TS head. I hit my driver first. After a few swings Rick asked, “Is that your normal ball flight?”. It was slightly on the low side, but fairly normal for what I’m used to with my Rogue. Trackman showed my launch angle was around 9°-9.5°. And, while that’s great on baked out fairways, I’ll definitely lose yardage in wetter, colder months (which are typical for most of the year in the Pacific Northwest). Next were rounds of shots with the TS2 and TS3 drivers, hitting roughly 7-10 balls with each shaft before swapping out the setup for the next in line. After I finished up these swings Rick was pretty sure he had my ideal set up pinned down. He put the HZRDUS Black Smoke shaft back on the TS2 head and had me take another set of swings. The numbers were eye opening to me. My launch angle increased to an average range of 12.5°-13° and the carry distance increased by over 10 yards. The biggest of all these swings produced a 294-yard carry that ended up at 320-yards total and only 2.5 yards offline. Wow! Overall, during my testing I picked up an average of 6 mph ball speed over the Rogue Sub Zero. After raving about Jailbreak all season long, I was honestly shocked to see the gains in ball speed. I doubled down on this research and stopped in Pro Golf Discount in Bellevue, Washington to put the TS2 head to head with the 917D2 on a GC2 Launch Monitor. Again, I picked up 5 to 6 mph ball speed. However, the biggest gains came from the almost 20% reduction in total spin rate. The average spin rate dropped from 2722 rpm to 2222 rpm and that difference equated to and average of 14 yards further carry and about 20 yards gained overall. Titleist has pulled off their objective in spades. They have created a lineup of drivers that are high launching, low spinning and fast. 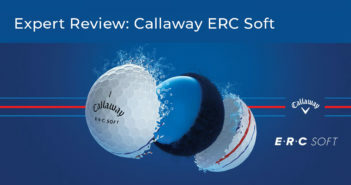 Though, much of the gains may in fact be due to the improved launch angle and lower spin rates, the additional ball speed mph did not go unnoticed. After testing these drivers, I’m not surprised in the slightest to see Justin Thomas post top-10 driving distance numbers on Tour with his TS3. The head shapes of both Titleist TS drivers are aesthetically pleasing, and although the TS2 produced the best numbers for me, in terms of pure looks I’ll give the nod to the TS3. It just has a classic cool pear-shape design and will be instantly recognizable to players who have had Titleist drivers in the past. I flat out love the sound of a titanium crowned driver, and the TS woods gave me everything I hoped for. The acoustic splash of a driver with a metal crown when hit pure echoes throughout a course. The TS2 and TS3 driver acoustics are on point. So much of feel is derived from sound. We can instantly tell whether we struck a shot purely, thinly or fat based solely off the sound of the ball off the face. For a composite crown driver, the Rogue has a good sound to it, especially when hit on the screws. However, nothing competes with the sound of a driver with a metal crown. If you have been a Titleist enthusiast or are in the market for a driver that will help you launch the ball, lower your spin rate, increase ball speeds and carry distances, or some combination of all those benefits, do yourself a favor and take the Titleist TS2 and TS3 drivers for a spin. Compare the numbers against your current driver and see if your numbers show a marked increase distance and an improved launch angle.